The bankruptcy proceedings for troubled steel companies, specifically Bhushan Steel and Bhushan Power & Steel, will trigger off issues of unfair competition if Tata Steel or JSW are successful in their efforts to buy both the stressed assets. While consolidation would obviously be helpful to the steel industry, it likely that the bidding process will attract the attention of the Competition Commission of India (CCI), India’s monopoly watchdog. “All existing projects will face cost overruns. New projects will be impacted strongly. In certain markets and products, there will be only one seller since import of steel products is banned and there is no competition from international sources,” said Mr Gauri Sabkar Beriwal, Director, P B Traders. Of the total flat steel production capacity of nearly 50 million tonnes per annum, JSW and Tata account for more than 40% of the country’s flat steel production. Bhushan Steel Ltd and Bhushan Power & Steel Ltd, which are facing bankruptcy proceedings, account for more than 15% of the country’s flat steel production. Acquisition of Bhushan Steel Ltd and Bhushan Power & Steel Ltd by either would result in them cornering more than 55% of the market share. “It will impact the economy strongly as it will push up inflation. It is an extremely undesirable situation and will defeat the underlying principle of healthy competition which is to provide the buyer with the choice of quality products at a competitive price. It will lead to unfair competition that will result in a lopsided or skewed market dynamic and will not work for the welfare of the customer or the common man,” said Mr Sushil Jain, Director, Dyna Roof. As things stand, Tata Steel has stolen the march over JSW by emerging as the higher bidder. The competitors are also favoured by changes in the Insolvency and Bankruptcy Code (IBC) which bars existing promoters from bidding for the ailing assets. This scenario is evoking fears of a price cartelization among buyers of steel products. It will also lead to a monopoly situation in certain markets and products, which will be harmful to the national economy. There will be other fallouts too. It will push up prices for the common man, lead to cost overruns for projects that are already underway and fuel inflation. Presently, the import of steel products is banned, as a result of which no imports are entering the country, leaving the market open only to the national players. The market believes that Tata Steel and JSW being the only bidders for Bhushan Power and Steel and Bhushan Steel Ltd violates regulations of the Competition Commission of India (CCI), which bar concentration of an industry’s capacity with one or two players. 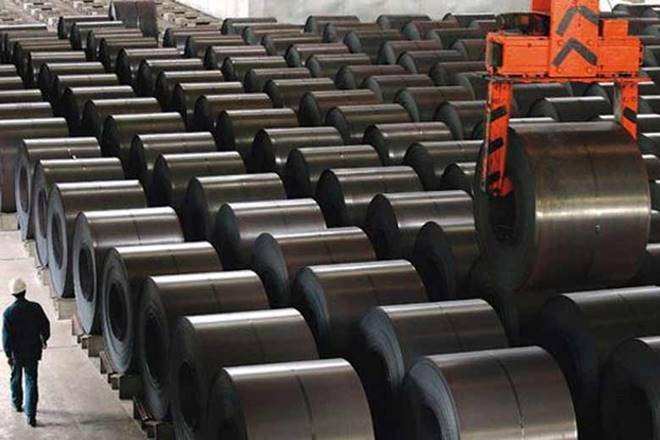 “If Bhushan Power and Steel and Bhushan Steel are both sold to one buyer, it will definitely result in an abuse of dominant position in the market place. All necessary steps must be taken to protect the interest o f the common man and the national economy,” said Mr Kailash Agarwal, owner and steel trader from Siliguri. Those who are following the developments say that several large domestic steel firms have been trying to seek an exemption from taking CCI approval in bankruptcy cases. In the absence of a waiver, and with time running out, all cases of mergers and acquisitions under insolvency provisions will need to be taken for clearance to CCI by the winning bidder and the Committee of Creditors (CoC) which approved the deal. “The introduction of the IBC Code is a great initiative by the present government. We felt it will help protect our interests however, the current potential cartelization in the steel industry is extremely disturbing. A scenario wherein only one or two steel majors will end up controlling the market is inevitable and just around the corner . That could be troublesome, the prices will go up exponentially, affecting the common man,” said Mr Gorge Joshi, Director, GEO Roof. In Madhya Pradesh by-elections, a battle of nerves ahead of state polls.